One doesn’t have to think too far back to a time when South Africa’s rugby team was getting all the wrong kinds of attention for racial issues under the Apartheid regime. The third test against New Zealand in 1981 springs to mind, where protests erupted outside Eden Park and flour bombs were dropped onto the field, to protest the racism rampant in South African rugby at the time. It was well publicised in 2015 that then coach, Heyneke Meyer was under pressure to select more players of color into the world cup squad. This could possibly be seen with the selection of Rudi Paige as an uncapped player, ahead of Cobus Reinach who had been in the team for some 2 years at the time and was serving as back up to Ruan Pienaar. Post world cup the Eminent Persons Group released a report which was adopted and suggested that a target of 50% players of color in the team be set by 2019, with 60% of these being black African players. Shortly after this the Minister of Sport Fikile Mbalula announced that the teams that had failed to meet targets would not be able to bid for or host any international competitions. This immediately brought to mind South Africa’s bid to host the 2023 Rugby World Cup amongst other sporting events in the interim. Here it is important to mention that it is not only Rugby which has been dealt with: Cricket, Netball, Athletics and Hockey all face the same fate. 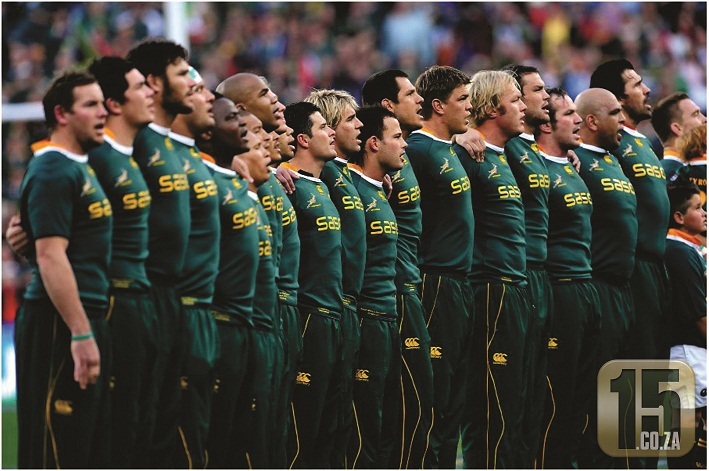 There is no arguing that South Africa’s past requires a course correction in terms of righting the wrongs of the past but one must question the value of this in the sphere of sports. Any sports fan knows that players develop at different speeds and pushing someone into a senior team before they are ready is often more damaging to a player than anything else. South Africa’s approach of putting in measures at the top and hoping they trickle down to ground level is flawed in many respects. With few rugby programs on offer in under privileged communities, the pool of players to introduce to the professional arena is severely limited. As a result of a small pool of players of color to select into the national team, this now has to be done based on the best of what we have as opposed to the best player over all in a specified position. A quota system that works from the bottom up would in the long run surely alleviate the need for any targets in the national team and allow for players of color to be selected purely on merit. The system currently being implemented aside from a legal and ethical point of view has two main problems in my mind. The first is that players of color who do excel and who are truly the best in their positions get tainted by the term quota and one small misstep in a match has the public up in arms about this “quota” player meanwhile they are there on merit alone. From a players perspective it must be truly insulting to know that all those hours in the gym and grueling pre-season sessions that got you to the top level are being credited to the government’s involvement in the sports and not to your own work ethic and dedication. The second problem is from the point of view of the team’s mindset. When you stand up there to sing the National Anthem before kick-off and you look left and right, you expect to see men of equal talent and skill standing next to you. Men that have earned their spot and have just as much to contribute to the cause as you do. You line up on defence knowing that the guys on either side of you will do their jobs, make their tackles and that they expect nothing less to come from you either. Once the team starts to see a player struggling to keep up due to him being pushed before he is ready the work ethic of the team as a whole will start to drop. The questions of why should I be putting my body on the line when the guy next to me isn’t, is a very dangerous question to have floating around the change room. An important question to be raised at this point is when will World Rugby intervene? It is clearly stated in their rules that no racial interference in the sport will be acceptable. Should South Africa not fall under these rules or has a simple blind eye been turned to what is unfolding. Currently Solidarity and Afriforum are two bodies in South Africa heading up legal action to end racial interference in the sport however their progress has been limited thus far. The case is still to be brought before the court and until such a time quotas are to remain the status quo. Take a look away from the immediate on field situations though and a much larger problem looms. 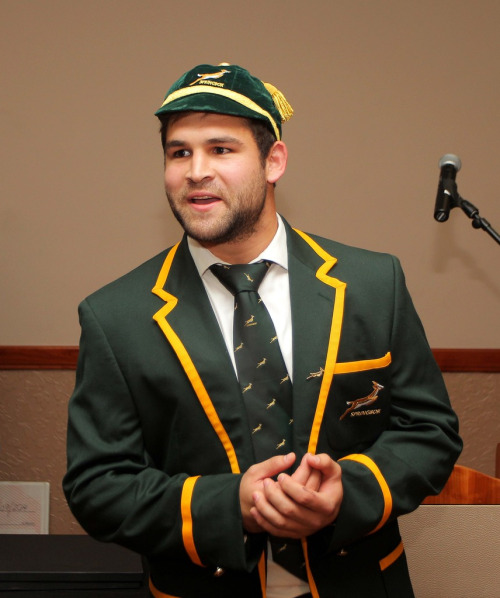 Young school talent which has been groomed over years and years of pride in the green and gold and who have dreamed of walking onto that field to represent their country are starting to let go of that dream. It was spoken of earlier this year that the top European clubs had sent scouts to Craven Week (South Africa’s top junior level competition) to sign players immediately out of school. A couple of years ago the thought of not playing for the Bokke would have ended discussions before they even started but this is no longer the case. The whole idea of being competitive on the sports field can be threatened by these policies as athletes lose ambition and structures that once were a nurturing ground for talent are left dry as our top sportsmen of all races seek refuge in other countries where what they bring to the table is all that matters and not the color of their skin. Yes money may be a factor in players seeking to play abroad but one can also see that the limiting of opportunities for players outside of designated groups definitely plays a role in the decision making process. White players as well as talented players of color looking to make it on merit and not race seek to ply their trade elsewhere in the hope of better opportunities and not being brandished as a quota.